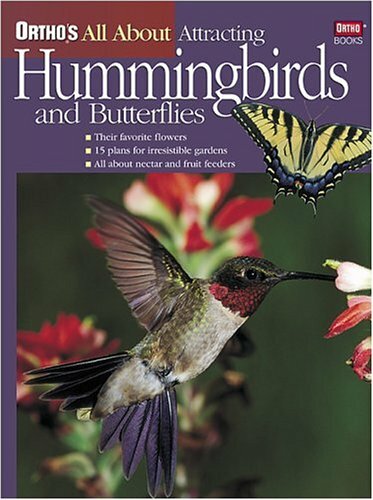 Five annual plants that are popular with hummingbirds are presented. While annual phlox generally is favored by hummingbirds, the other four annuals (garden balsam, orange jewelweed, garden nasturtium, tree tobacco) attract specific hummingbirds. 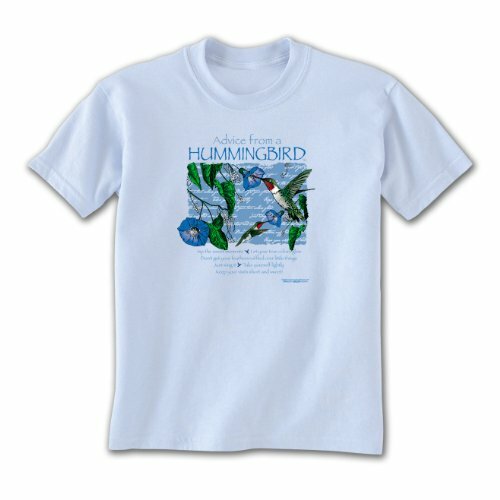 Seven hummingbirds (Allen's, Anna's, black-chinned, blue-throated, broad-tailed, Costa's, ruby-throated) are described along with the annual that attracts them. forms a sparkling duet with Ruby-Throated Hummingbirds as their favorite resplendent floral nectar. Annuals (Latin: annus, “year”) are plants that fulfill their life cycle of germination, flowering, and death within a season or a year. Annual phlox, garden balsam, orange jewelweed, garden nasturtium, and petunia are five annuals, grown throughout the United States as well as worldwide, that attract hummingbirds (family Trochilidae). Phlox drummondii is commonly known as annual phlox or Drummond’s phlox. Native mainly to central and eastern Texas, annual phlox has become a worldwide phenomenon since its discovery in 1835. Although Drummond’s phlox may favor the Texas landscape, the plant has adapted easily to a wide variety of environments and climates. It grows in a range of light and temperature conditions, and it survives in distinctly different environments. Although a wildflower, annual phlox responds well to cultivation so that easily over two hundred varieties exist. Annual phlox produces a profusion of flowers in an array of colors, with special brilliant displays of pinks and reds, which are favored by hummingbirds. Their flowers have the tubular shape which is desirable to hummingbirds with their long bills and tongues. All in all, hummingbirds are attracted to annual phlox for their color, their floral shape, and their widespread distribution, all of which make annual phlox a reliable nectar source for hummingbirds. 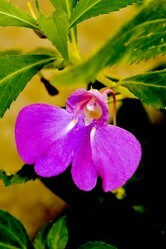 Impatiens balsamina is commonly known as balsam, balsamine, garden balsam, rose balsam, or spotted snapweed. Two other common names, jewelweed and touch-me-not, are shared with other species in the genus. Garden balsam is occasionally called lady’s slipper, a name normally reserved for orchids in the genus Cypripedium, because its flower has a distinctive petal, botanically termed as a labellum (Latin: labellum, diminutive of labrum, “lip”) that resembles a slipper. Originally native to tropical Asia, particularly in India and Myanmar, garden balsam has a long ethnobotanical history there for its culinary, dye, and medicinal applications. Garden balsam (Portuguese: bálsamo de jardim) was introduced in the 1500s to the western world by Portuguese sailors. Although garden balsam genetically prefers the tropics and subtropics, it is widely and easily naturalized throughout the world. Garden balsam produces flowers in enticing bicolor, solid, and spotted shades of pink, purple, red, rose, and white. Garden balsam is so named because of its congenial growth and floral display in gardens. 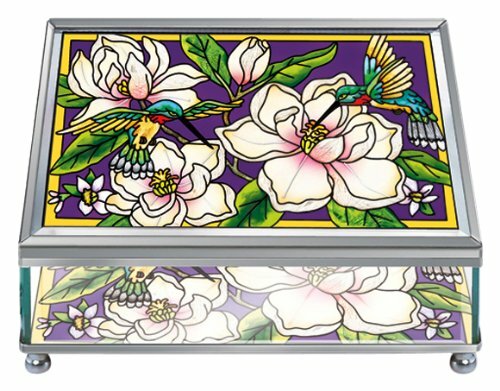 It has been a favorite since its colorful participation in Victorian gardens. Hummingbirds enjoy garden balsam for its three invaluable attractors: vivid flowers in the pink to red spectrum, floral shape conducive to extracting nectar, and widespread availability. 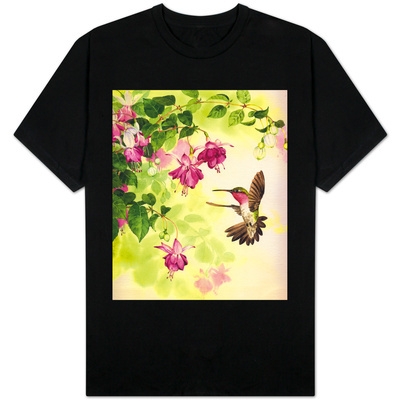 Garden balsam is one of the plants favored by the black-chinned hummingbird (Archilochus alexandri), a small hummingbird, about 3.25 inches (8.25 centimeters) in length. The species name of the black-chinned hummingbird, bestowed upon it by French naturalist Jules Bourcier (1797-March 9, 1873) and French entomologist and ornithologist Martial Étienne Mulsant (March 2, 1797 - November 4, 1880) in 1846, honors Dr. Alexandre, who practiced medicine in Mexico and sent bird specimens to Paris. Dr. Alexandre collected the first known bird of the species in the Sierra Madre in western Mexico. Black-chinned hummingbirds have metallic-green colored backs and crowns and a white spot behind their eyes. A black face, chin, and upper throat with an iridescent blue-violet lower throat bordered below by a white collar distinguish male black-chinned hummingbirds. This minuscule hummingbird species frequents a breeding habitat that stretches across western North America from south central British Columbia all the way down to the northern sectors of the north Mexican states of Baja California, Chihuahua, and Coahuila. The breeding habitat encompasses eastern Washington, central Idaho, western Montana, southwestern Wyoming, southeastern Colorado, and southwestern Oklahoma, as well as an expanse from coastal California to central Texas. The black-chinned hummingbird overwinters in the southern sectors of the states of Arizona and California and along Mexico’s Pacific slope from northwestern Sonora to the south central state of Morelos. Impatiens capensis is commonly known as jewelweed, common jewelweed, orange jewelweed, spotted jewelweed, or orange balsam. Impatiens capensis is native to Canadian and American North America. In Canada, orange jewelweed’s native habitat comprises every province except Labrador and every territory except Nunavut. Orange jewelweed also occurs natively on the Territorial Collectivity of Saint Pierre and Miquelon (Collectivité territoriale de Saint-Pierre-et-Miquelon), the French archipelago located in the North Atlantic Ocean south of the Canadian province of Newfoundland and Labrador. In the continental United States, orange jewelweed occurs natively in forty-one states and the District of Columbia. Orange jewelweed is not native to Alaska, Hawaii, or the western states of Arizona, California, Montana, Nevada, New Mexico, Utah, and Wyoming. Orange jewelweed also is not native to Puerto Rico or to the U.S. Virgin Islands. Jewelweed's flowers are orange with darker or lighter spotting and striations. Flowers have a three lobed corolla (Latin: corolla, diminutive of corona, "crown"), the collective botanical term for all of the petals. With similar coloring to the corolla, one of the sepal (i.e., special floral leaves) lobes in the calyx (Greek: κύλιξ, kylix, "drinking cup"), that is, all the sepals collectively, shoots out from the base of the flower as a hooked conical spur, which is elongated and hollow. The orange-flowered Impatiens capensis is similar to the yellow-flowered Impatiens noli-tangere (Latin: impatiens, “impatient, not allowing” + noli tangere, “be unwilling to touch”), which, native to Europe and Asia, is naturalized now in North America and is known commonly as touch-me-not, wild balsam, yellow balsam, and yellow jewelweed. Impatiens capensis is a favored plant of the ruby-throated hummingbird (Archilochus colubris), which is drawn to jewelweed's sparkling orange flowers throughout their habitual range. From the tip of their beak to the tip of their tail, ruby throats have a length of about 3 inches (7.5 centimeters), of which about one-fifth comprises their long, thin beaks. The backs and crown of ruby throats are metallic green or bronze green in color, and their wings are nearly black. A brilliant red metallic gorget (Old French: gorgete, diminutive of gorge, “throat”), that is, throat, distinguishes male ruby throats. Ruby throats favor seven Canadian provinces --- southern sectors of Alberta, Manitoba, Ontario, Quebec, Saskatchewan, and the maritime provinces of New Brunswick and Nova Scotia --- for their northernmost breeding habitats. In the United States ruby throats are the only hummingbird species that nests east of the Mississippi River. They regularly breed in thirty-eight states. Apart from a small section of northern Montana, their furthest western extent in the United States is demarcated from north to south by the eastern sectors of North Dakota, South Dakota, Nebraska, Kansas, Oklahoma, and Texas. Ruby throats overwinter from October through March primarily in Central America and in the United States along the Texas Gulf Coast and southern Florida. They migrate as snow birds to nine Central American countries: Belize, Costa Rica, El Salvador, Guatemala, Honduras, central and southern Mexico, Nicaragua, and Panama. Tropaeolum majus is commonly known as garden nasturtium, Indian cress, or monks cress. Native to the Andes Mountains from Bolivia north to Colombia, garden nasturtium was introduced into the United States, especially continentally in California, Massachusetts, New Hampshire, Pennsylvania, and Virginia, as well as offshore in Hawaii and Puerto Rico. Garden nasturtium was introduced as Indian cress to Europe in the seventeenth century. Its flowers tend to have five petals and five sepals. One of the sepals shoots out near the floral base as a long nectar spur. Floral coloring generally varies from orange to red or yellow, but cultivars also are ablaze in crimson, pink, russet, and scarlet. Garden nasturtium is favored by the broad-tailed hummingbird (Selasphorus platycercus). Broad tails have iridescent emerald backs and crowns with a white breast. A metallic iridescent rose colored gorget distinguishes male broad tails. Metallic iridescent gorget distinguishes males. This high-altitude nester, at elevations up to 12,700 feet (3,871 meters), comprises migratory and tropically residential populations. Migratory broad tails base their breeding habitats in the western states of Arizona, Colorado, Idaho, Nevada, New Mexico, and Wyoming. They also breed in extreme western Texas near its border with the north Mexican state of Chihuahua. Central Mexico is the breeding habitat for resident broad tails, the sedentary subspecies (Latin: sedentarius, from sedere, "to sit"). Migratory and resident broad tails generally overwinter from northern Mexico to northern Guatemala. Broad tails are attracted to the brilliant orange and red floral displays proffered by garden nasturtium, which, with its origin in high elevations, easily and sturdily flourishes as a wildflower. Nicotiana glauca is a wild tobacco that commonly is known as tree tobacco. Native to southern Bolivia and northern Argentina, tree tobacco was introduced primarily into the continental United States through Ohio, five southwestern states (Arizona, California, Nevada, New Mexico, Texas), three southeastern states (Alabama, Florida, Georgia), and two mid-Atlantic states (Maryland, New Jersey). Tree tobacco was also introduced in the mid-nineteenth century into Hawaii, especially on the islands of Lanai, Maui, Molokai, and Oahu. Tree tobacco is a hardy plant that, with its resistance to drought, easily proliferates and dominates its habitats. As such, tree tobacco often poses a threat to native species that may be sensitive to ecological changes and variations. A shrub that may reach heights of well over 10 to 20 feet (3 to 6 meters), tree tobacco produces long, tubular yellow flowers. Normally yellow flowers are not sought by hummingbirds. Nevertheless, tree tobacco is favored for its nectar by such hummingbird species as Allen’s (Selasphorus sasin), Anna’s (Calypte Anna), blue-throated (Lampornis clemenciae), and Costa’s (Calypte costae). (August 21, 1841 - June 1930), an American bird collector and taxidermist originally from Massachusetts who lived in Marin County, California, from the late 1800s to the early 1900s. Allen is credited with differentiating between Selasphorus sasin and a closely related species, Selasphorus rufus (rufous hummingbird). Allen’s hummingbirds measure around 3 to 3.5 inches (7.5 to 9 centimeters) in length. Allen’s hummingbirds have a white chest with cinnamon-rust colored flanks and metallic bronze-green backs. A fiery red-orange gorget distinguishes male Allen’s hummingbirds. Allen’s hummingbirds nest in coastal California and southern Oregon. Selasphorus sasin sedentarius, a subspecies in southernmost California, is residential (sedentarius) and, therefore, does not migrate. The migratory subspecies overwinters in central Mexico. Calypte anna is commonly known as Anna’s hummingbird. This hummingbird was named by French naturalist and Napoleonic War surgeon René Primevère Lesson (March 20, 1794 - April 28, 1849) in honor of Anna Masséna, Duchess of Rivoli (1802 - 1887), whose husband François Victor Masséna, 2nd Duke of Rivoli and 3rd Prince of Essling (April 2, 1799 - April 16, 1863), was an amateur ornithologist. Measuring 3.9 to 4.3 inches (10 to 11 centimeters) in length, Anna’s hummingbird has a glossy bronze-green back and dull grey undersides. An iridescent crimson forehead and gorget distinguish male Anna’s hummingbirds. During the twentieth century, a dramatic expansion in the breeding habitat of Anna's hummingbirds occurred. Until mid-century, Anna's hummingbirds only nested in southern California, the slopes of the Sierra Nevada, and the San Francisco Bay Area. Now Anna’s hummingbirds breed along the western North American coast, from British Columbia to Arizona and western New Mexico. They often reside year-round in most areas, although they have been enlarging their non-breeding range to extend from the Alaskan coast to northern Mexico. Lampornis clemenciae is commonly known as the blue-throated hummingbird, blue-throated mountain-gem, or blue-throated cazique. Averaging 4.92 inches (125 millimeters) in length, blue throats are easily identified by white facial stripes that trail down from their eyes and the corner of their bill. Undersides are light grey, and backs are bronze to golden green. An iridescent azure blue gorget distinguishes male blue throated hummingbirds. Delattria clemenciae, with Yellow Trumpet Vine (Adenocalymna comosum): perching female (above) with two males (below, left and right). Blue throats are native to the vast highland and central plateau area of Mexico, extending as far south as the southwestern state of Oaxaca. In addition to their homeland, they regularly breed in mountainous areas of southern Arizona, New Mexico, and western Texas in the United States.They favor building their nests near water. These altitudinous fliers, inhabiting elevations averaging 5,905.5 to 10,826.8 feet (1800 to 3300 meters) are able to thrive in low-nectar environments by gleaning flowers and foliage for small arthropods, such as insects (aphids, beetles, fleas, wasps) and spiders. Calypte costae is commonly known as Costa’s hummingbird. 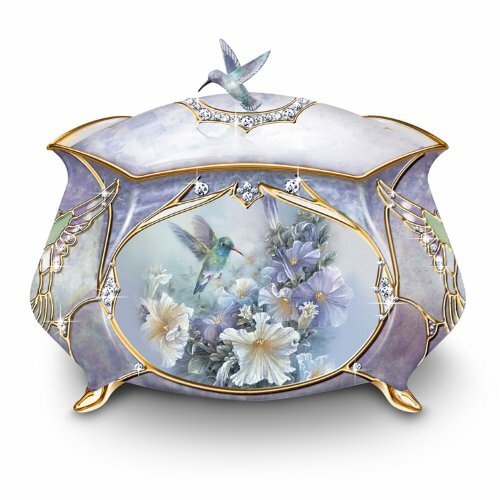 French naturalist Jules Bourcier (1797 - March 9, 1873), an expert on hummingbirds, named Costa’s hummingbird in 1839 in honor of Louis Marie Pantaléon Costa, Marquis de Saint-Genix Beauregard (June 19, 1806 - September 19, 1864), a nobleman and politician interested in ornithology who collected hummingbirds. Atthis costae, Reich. 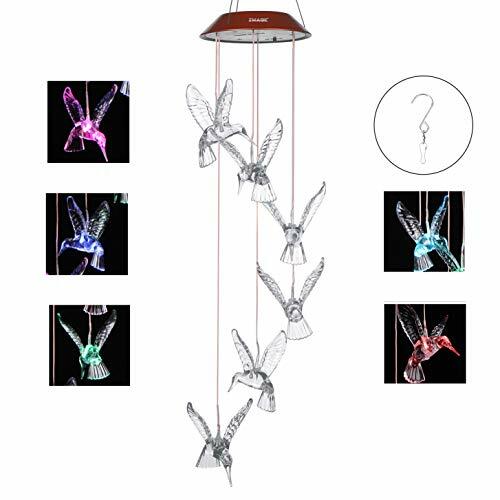 Coste's Humming Bird. Measuring around 3 to 3.5 inches (7.62 to 9 centimeters) in length, Calypte costae have iridescent green backs and heads. A metallic purple gorget distinguishes male Costa’s hummingbirds. Except during heat waves when they escape to proximitous chaparral, scrub, or woodland habitats, Costa’s hummingbirds favor the Sonoran and Mojave Deserts of California and Arizona. The southern extent of their range is central Mexico. Costa’s hummingbirds occasionally stray east to Louisiana and Texas along the Gulf Coast for winter. Hummingbirds generally are attracted to orange, pink, or red flowers. Nevertheless, hummingbirds are really seeking nectar. They know that, while color generally is an important indicator of their floral preferences, a tubular shape and plant availability in their range are also critical features. Of the five annuals presented, tree tobacco alone has yellow flowers, but it entices hummingbirds with its nectar, appropriate floral shape, and sturdy availability. 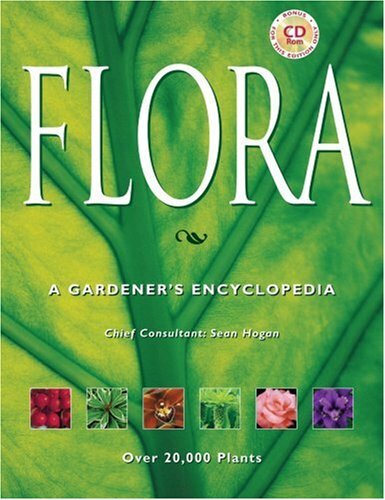 Two of these annuals --- annual phlox and orange jewelweed --- are native to North America. The three others --- garden balsam, garden nasturtium, and tree tobacco --- are introduced species in the United States. However, all five of these annual plants share in their allure to hummingbirds. Allen’s, Anna’s, blue-throated, and Costa’s hummingbirds are attracted to tree tobacco, but not for its sunny yellowness. Baltosser, William H., and Peter E. Scott. "Costa's Hummingbird (Calypte costae)." In: Alan F. Poole and Frank B. Gill, eds., The Birds of North America, No. 251. The Academy of Natural Sciences, Philadelphia, PA, and The American Ornithologists' Union, Washington, D.C., 1996. Gould, John. A Monograph of the Trochilidae, Or Family of Humming-Birds. In Five Volumes. Vol. II. London: Taylor and Francis (Printers), 1861. Mailliard, Joseph. “Charles Andrew Allen, With One Illustration.” The Condor, Vol. 33, No. 1 (January-February 1931): 20-22. Mitchell, Donald E. “Allen’s Hummingbird (Selasphorus sasin).” In: Alan F. Poole and Frank B. Gill, eds., The Birds of North America, No. 501. Philadelphia: The Birds of North America, 2000. Reports of Explorations and Surveys To Ascertain the Most Practicable and Economical Route for a Railroad from the Mississippi River to the Pacific Ocean. Made Under the Direction of the Secretary of War, in 1853-6, According to Acts of Congress of March 3, 1853, May 31, 1854, and August 5, 1854. Volume X: Part VI Zoological Report, No. 3-Report Upon the Birds of the Route by C.B.R. Kennerly, M.D. Washington: Beverley Tucker, Printer, 1859. USDA, NRCS. 2011. The PLANTS Database (http://plants.usda.gov). National Plant Data Center, Baton Rouge, LA 70894-4490 USA. Me, too, I enjoy phlox. They're so abundant and display such a pretty range of colors. And the crowning touch are the winged visitors who value phlox nectar. I'm glad that you appreciated the pictures ~ I found them easily, and they're exactly what I had in mind. Phlox are one of my favorite wild flowers here in the springtime. Pretty pictures! jptanabe, Me, too, I love hummingbirds. If you have one or two, you can always attract more. It's a honor and a blessing for them to visit you: it means that they like your yard! Love hummingbirds! Nice to know what attracts them - we usually see one or two in our yard, I'd love to attract more of them. The brilliant oranges and reds of Mexican Sunflower (Tithonia rotundifolia) serve as a siren for butterflies, which are of equal beauty. Seven devoted visitors are identified.